Anyone who knows my knows that I have long, dark hair. I am always asked how do I keep my hair looking so shiny and healthy, and I tell them my “not-so-secret” secret weapon is organic coconut oil. I say it’s my “not-so-secret” secret necessity because women from India have been using this amazing oil on their hair for centuries. I like using organic because I feel (I don’t know for sure but…) it is more pure. 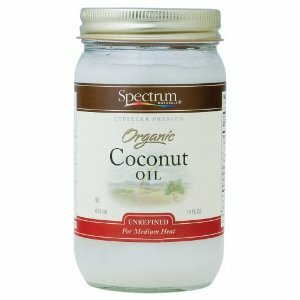 Does it matter if you use organic or regular coconut oil off the shelf, I have no idea? I have always used organic. It comes in a solid state (like cold butter) but you can put it a pan of hot water on the stove (think double boiler) and let it heat up. I have also put it in the microwave, but watch because it melts really fast. Another oil I switch off with is and oil made with Indian gooseberry. It has a much less pleasant smell compared to the coconut oil and it is not recommended for blonds (it tends to darken the hair over time) but the results are amazing. I have been told you can weaken the strong smell with peppermint oil. I love both of these oils, so I tend to switch between the two. for both oils I leave them on my hair for at least 2 hours, then shampoo twice and condition. Style as usual and feel the difference. I do this routine about twice a week and trust me once you see the results you’ll never stop this routine.